The stylish soft-padded lingerie hanger is ideally suitable for lingerie but can also be used for hanging other delicate clothing, because of the soft velvet fabric. A great accessory to add to your lingerie collection. 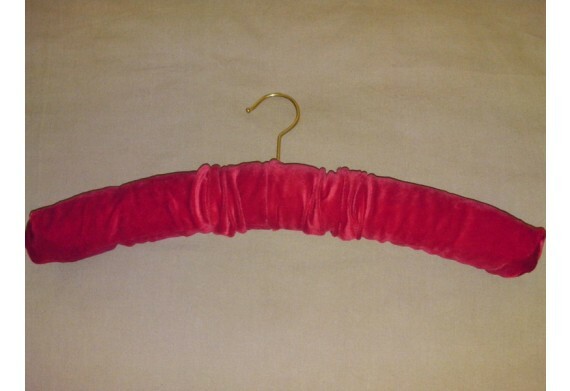 This luxury soft ruffled velvet hanger is padded and is ideal for lingerie but is also perfect for other heavy clothing. It's well shaped with double padding over a strong frame. Special features gold plated hook and soft velvet fabric. 46cm wide with 10cm gilt hook.